The difference between experience and wisdom is a subtle one. To learn from an experience, one will make a mistake and learn not to do that again. That is learning by experience. To learn from wisdom is to learn from the experience of others so not to have to make that mistake in the first place. That is learning by wisdom. Therefore I find it puzzling that many organisations still prefer to learn by experience when attempting to fulfil their promise to become a truly customer centric organisation. Therefore, here are five quick tips that uses the wisdom gained from other organisations (who shall remain nameless but all of whom I have worked with) that can help on that journey towards customer centricity. Tip #1: To change behaviour, change the comp and hire appropriately. If you want your Managers accountable for delighting the customer and improving retention, then change the comp plan to focus them on that objective. If it is important, make it something that becomes an economic necessity! In a similar vein, ensure that your hiring policy is aligned to ensure that only applicants who can demonstrate a passion for customer centricity are hired. Gradually, the culture of the company will change. Invite the voice of the customer into the boardroom by appointing a Chief Customer Officer. 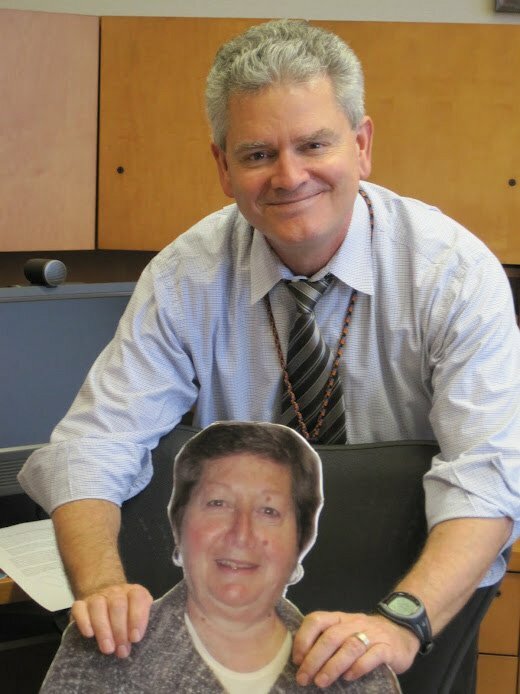 If you cannot afford one, get a cardboard lifesize cut-out and sit it on a chair in the boardroom. At all relevant moments during a board meeting, turn to the cardboard cutout and ask “What does the customer think about this?”. Believe me…it works!!!! I had been preparing a blog post on this subject but I would rather defer to someone who has the experience of being a Chief Customer Officer. You can learn more from her excellent blog here. Do you provide Employee Satisfaction surveys, exit interviews and other such HR charm offensives? Well, why not extend similar concepts to former customers, current customers (noth advocates and the silent majority). Hold focus groups, use Social Media, surveys, bribes whatever it takes to gain the insight you need to gain a true customer perspective on what you do well, what you do not do well and what they would like to see you do. It is very powerful. I heard a stat recently that said in a survey of clients, 95% said their customers “loved them”, a perception that was only supported by 6% of their customers. Everybody within your organisation must feel empowered and able to provide an outstanding customer experience. To do this, everyone needs educating. Who are THEIR customers? What benefits will this approach bring? What behaviours and values need to be developed? This education should not be a Webex or DVD to watch. It must be participative, ongoing and cross functional, involving every staff member from Chairman to Janitor. One organisation invited all of its directors to spend a day answering phones to “real” customers. Only half took their turn. Those who did found the experience “career changing”. Those who didn’t turn up, in my opinion, should have been given an ultimatum to do their stint or leave. Customer Centricity needs to be fully inclusive. Finally, the great experience being delivered by Sam in Sales could be completely undermined by a poor after sales experience by Paul in Service. Not only is it important for everyone interacting with the customer to behave in a customer centric fashion, but it is also vital to offer a consistent LEVEL of Customer Service. I believe it is better for everyone to be very good than have one excellent and another mediocre. That alignment can be measured by surveying each different department at each customer touchpoint. The internal initiative should then focus upon improving the “lagging” departments to provide greater overall consistency. Oh, there is a sixth tip: “Do not let I.T drive the initiative”, but that deserves a blog post of its own! Of course, this list is not inclusive or exhaustive. Success could be achieved without these tips but I believe that they will increase your chances of success. How the Chief Customer Officer Drives Customer Experience Results by Paul Hagen. Great article but I’m still to come across a CCO in Australia. Examples anyone? I have just spent an amazing couple of days with a major car dealership in South Australia. This company knows where it wants to be but is struggling to sort out the “how”. I have been helping them sort out a potential strategic roadmap of initiatives. The interesting thing is that they are, in many ways, well on the way to becoming Customer Centric. Their Dealer Principal is an eneregetic, innovative customer champion who has implemented many initiatives that are outstanding. His team are equally passionate about enhancing the customer experience and already offer an experience that is loved by their loyal customers. Whether it is their use of customer follow-ups. Net Promoter or obsessive attention to customer service quality, it appears to be working. But here is the interesting thing: It has all been achieved without the use of any software. Many of the processes that CRM software automates is done manually. Their customer data is in the heads or on the notepads of their customer facing staff. It really is amazing to see just how effective a paper process can be! Just think what they could do with a CRM system enabling these processes. It is an exciting prospect for them but equally inspiring for me to see the power of good people combining with good processes to enable customer centricity. What is CRM? My point of view…..
My view on the Million Dollar question. I argue that it is not one thing in particular. It is the whole of all of those things. I am often asked and have often read about this question. I felt it about time to come up with my perspective. CRM (Customer Relationship Management) is a term coined by the Software Industry in the mid-late 1990’s. Since then, there have been attempts to modify the term, usually to introduce a new variety of software. 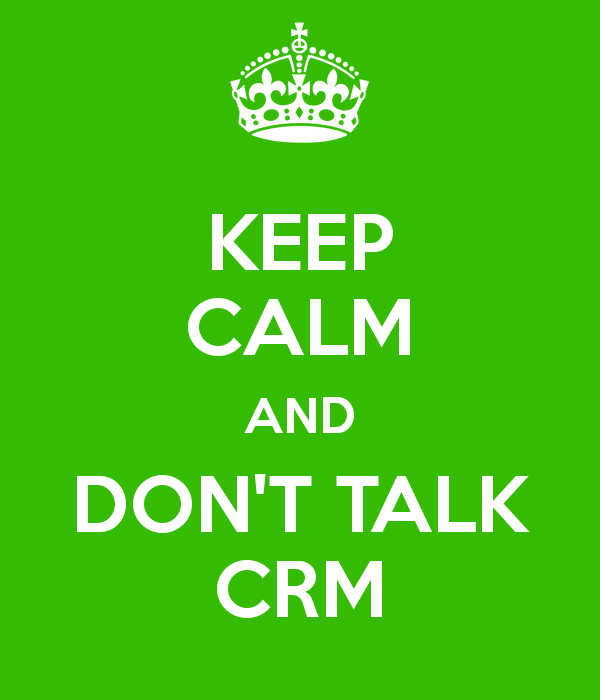 There has been eCRM, CIM, Citizen Relationship Management and CRM 2.0 (of course!) to name but a few. However, CRM has stuck and many of those now becoming aware of this previously unexplored part of the universe are guilty of equating CRM to a tool. I find that view very limiting and narrow. Usually it comes from one’s own perspective. For example, if you are a Salesperson and use CRM software to manage your sales opportunities, customers, leads and forecasts then CRM is a Sales tool in that context. Let me first of all explain how I view organisational decision making. This applies to any organisation from the largest multinational to the “one man band”. Everyone has a slightly different take on this and there are other steps I have omitted e.g Values that are also important but have less impact upon CRM than some of the other steps. Everything starts with a motive. What is your reason for existing and doing what you do? For many private organisations, the goal could be to maximise shareholder wealth. For the one man band, it could be to not have to work for another person. Irrespective, it all starts with an overarching goal. Therefore the next step is the vision. Where do you want to be to realise that goal? A corporate vision is a hugely important statement and is often confused with Mission Statements. To me, a Vision is inspirational, stretching, future. A Mission Statement should define what the organisation will be (note: not ‘do’) to deliver that vision. From the Vision, we need corporate objectives. These objectives should be S.M.A.R.T. Next, we need a Strategy. A strategy tells us what we need to do to reach these objectives. The Strategy will then break down into a series of actions and sub-tasks that should enable realisation of the strategy. So where does CRM fit in? To many people, CRM is a class of software that can help organisations better manage their customer relationships. This is correct. However, to me it is like saying that Space Exploration is all about Rockets. Sure, you need a rocket but what about Astronauts, Scientists, Engineers? What about the leveraging of knowledge? What about the planning? Is that not equally important? “CRM” should start at the vision stage. What importance does an organisation put upon the type, nature and interaction with its customers? To some organisations, it isn’t important. They focus on price competitiveness or other competitive differentiators that allow them to be successful even with mediocre customer satisfaction. Just look at your mobile phone provider for evidence of that. How many of those providers are truly customer focussed or offer outstanding customer service? The Strategy should define a series of initiatives that impact upon the entire organisation. It might affect the Corporate Culture, Organisational Design, R&D, Sales Strategies etc. Nevertheless, the CRM Strategy will be the focal point for all subsequent tasks and activities that are required to help realise the vision. It is likely the CRM Strategy will cut across functions which leads to another key question: Who is accountable for CRM. I will address that in a subsequent post. The activities required to reach the objective can take many forms. One of these activities might be to analyse and redesign the Customer experience. Another may be to develop systems and tools to better capture, understand and monitor inbound and outbound customer facing initiatives. In other words, CRM Technology. Another might be to train the workforce on customer communications and customer service. Another might be to change the hiring strategy to evaluate potential recruits against a templated “customer focus” criteria. There are many, many more things that could be done but nearly all activities will impact upon and/or involve People, Process and Technology. Therefore CRM to me is the entire universe of customer orientation. This universe contains many galaxies of activities which contains many solar systems of tasks. Customer Centricity is a journey through the universe without a real destination. Why? Because the goal (destination) keeps changing. Customers have different expectations and needs today than even a year ago. Even as recently as five years ago, how many organisations had a Digital Marketing or Social Media Strategy? As the world evolves, so must our vision and enabling strategies to ensure that if customers are important to our overall vision, then we never lose sight of the need to evolve in alignment to the changing world. Author Nick DaveyPosted on October 14, 2010 Categories CRM Consulting, CRM tools, Customer Management, Customer Service, Marketing, SalesTags CRM, culture, customer centric, Customer Experience, Customer Loyalty, customer strategy CRM, Marketing, TransformationLeave a comment on What is CRM? My point of view….. I am currently searching for a new career opportunity and have been shocked at the way a number of organisations handle the recruitment process from a “Customer Centric” perspective. Some organisations seem to forget that even applicants for opportunities within their organisation should be treated as valuable customers. Maybe this is why they are seeking a CRM Thought Leader in the first place? An applicant, such as myself, may have been attracted by the hiring companies brand. If that organisation then fails to acknowledge your application or keep you informed, the brand is devalued in the mind of the applicant, who could also be an influencer, customer or shareholder. What does it say about the core values of the company the applicant is hoping to join. Does it not say “you are not important”? In fairness, the majority of companies do appear to acknowledge receipt of the application. It is after that the process seems to break down. Some organisations recruit through Recruitment Agencies who often regard applicants as little more than a commodity, not an individual with hard earned skills that can add value. This is not just my personal experience. I have spoken to others who have experienced the same. These recruitment agencies act as a filter. They do not often understand the components that might add value to their client. Instead, they look for certain key words to reach a shortlist as quickly as possible. In one example, I heard nothing for two weeks and when I rang them, I found that I had not been shortlisted and they were conducting final interviews that day. That is fine, but wouldn’t it have been a courtesy to let all the non shortlisted applicants know? Agencies often appear unwilling to share information. When I recently asked one supposedly “leading” agency for information about the role or the client, I was sent a generic job description that was clearly drafted on the back of a betting slip. Luckily, through my career, I have not always used agencies as I have found the majority to be lacking in insight, knowledge and integrity. Harsh? Maybe, but that has been my experience. I have tended to use my network to find new roles and have been lucky to have been approached directly by clients in the past. However, that is where the lack of a Customer Centric culture breaks through the cracks. The onboarding process often appears to be designed to benefit the hiring company rather than the potential candidate. I was lucky enough to have been approached last week by a company where I knew some of their key executives. All seemed to be going well until I was put in touch with the recruitment centre who refused to send me any details until I had sent them a formal application, despite the fact that their executives had approached me! Since then, I have left messages for them to acknowledge receipt of the application and to send me the role details. Even allowing for leave, surely there is a process to ensure continuity. This blog may appear to be a whinge (I am a Pom after all!) but it does amaze me how a supposed Customer Centric culture does not extend to the whole organisation in many places, without any realisation or appreciation for the potential detrimental impact on brand, public image and customer behaviour. Becoming a Customer Centric organisation needs cultural change across the entire organisation. Everyone counts. Everybody can make a difference. I hope that my next role can impress this for my new client or employer.